The Tank Bund Road runs between Hyderabad and Secunderabad, Telangana, India. The Tank Bund dams Hussain Sagar Lake on the eastern side and connects the twin cities of Hyderabad and Secunderabad. It has become an attraction with 33 statues of famous people of Andhra Pradesh, Telangana erected by N.T. Rama Rao, former chief minister of Andhra Pradesh. The Pakistan Patton tank, now an attraction for visitors to the Tank Bund Road, is a War Trophy given to the 54th Infantry Division, and is one that the Indian Army had disabled during the Battle of Basantar in Pakistan, between December 15-17, 1971. 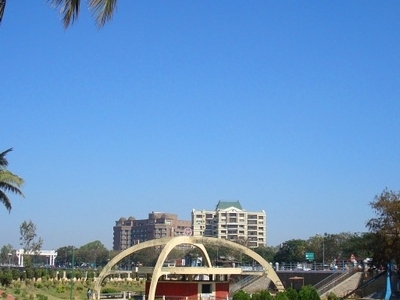 Parallel to the Tank Bund Road, the Lower Tank Bund road was built to reduce traffic congestion. 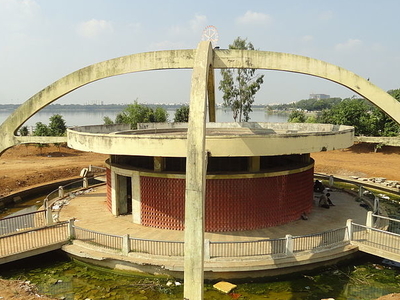 This lower Tank Bund road is heralded by the famous and very popular Katta Maisamma Temple, the sprawling green Indira Park, Bharat Sevashram Sangha was established in 1917 by the Illustrious patriot saint Yugacharya Srimat Swami Pranavanandaji Maharaj in Bajitpur village in Bangladesh, here in Hyderabad came to being in 1956 at Domalguda. But this preimse at the Lower Tank Bund which is named as Bharat Sevashram Sangha Marg foundation stone laid by Sri M. R. Sham Rao, the then Mayor of Hyderabad on 9 June in 1965. 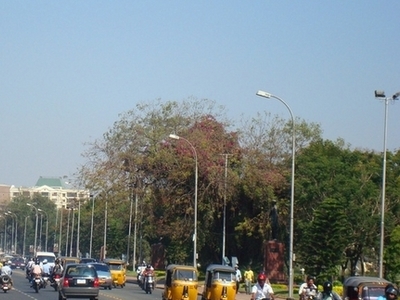 Here's the our members favorite photos of "Famous Streets in Hyderabad". Upload your photo of Tank Bund Road! Connect with Kaushal and Arun Sengupta who have already visited Tank Bund Road.